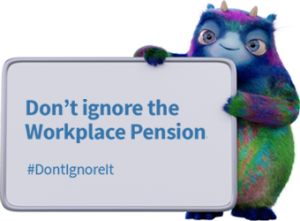 Auto-enrolment and the workplace pension are the biggest changes to affect employers since the introduction of the minimum wage legislation. I am sure you have all seen the government led television campaign urging you to take action. However, if you are still to arrange a solution then you are certainly not alone. It's really important that you understand your obligations under the new legislation and how this will impact your business. The administration involved both before and after implementation could end up being both time-consuming and costly. However failure to comply with the legislation could end up costing you even more in fines. Having now staged almost 100 clients, Douglas Home and Company has the experience and expertise to guide you through the process from start to finish. We can provide a bespoke service tailored to your needs ranging from initial set up to ongoing administration and everything in between. Please do not hesitate to contact our Payroll Manager Geoff Campbell by either email (geoffc@dhco.co.uk) or by phone on 01573 225082 for more information.